In 1988, Mount Zion Matriculation Higher Secondary School was founded by the Chairman Mr. Jayabarathan Chelliah and Mrs. Florence Jayabarathan in the town of Pudukkottai. 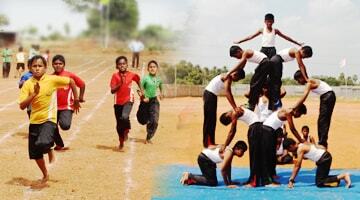 Under their able leadership, it has since grown to be the largest school in Pudukkottai District. In 2001, Mount Zion College of Engineering and Technology was started at Lena Vilakku. It is now the best engineering college in the region and is well known for its results and placements. In 2009, Mount Zion College of Nursing was started following which the Mount Zion International School was started. To commemorate 25 years of quality service in the field of education, it was decided that Mount Zion Silver Jubilee Matriculation Higher Secondary School be started at Thenkarai, Thirupattur to serve the needs of the public in the vicinity. Learning is to be a joyful experience. Age old teaching techniques - though effective can now be complemented by using active learning techniques. This allows children to grasp concepts more quickly, remember better and be creative. The curriculum is structured towards achieving these goals. The spacious, seven acre campus has airy class rooms – many of which are smart classes, well equipped laboratories, a library featuring the latest arrivals, a Wi Fi campus, etc. The academic year is from June to April. English is the medium of instruction. The state-of-the-art computer centre features the latest computers of the highest configuration, high speed internet connectivity and a vast collection of electronic educational material. All computers are networked and multimedia capable. Children are exposed to the cutting edge in computing technology. To "Make Man Whole" is the motto of Mount Zion. Children are trained to develop their strength, stamina and motor co-ordination by playing. The school also features teams trained by specialist coaches in various sports and games that will compete at the highest levels. 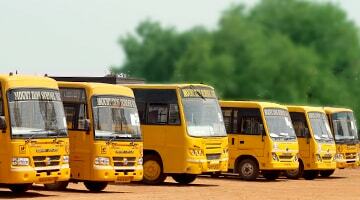 Safe and comfortable transportation is provided by a fleet of school buses and vans. Transportation facility will be provided to students who register for the service at the time of admission. Students are encouraged to actively participate in clubs which awaken the child’s intelligence and help students learn a variety of special skills. 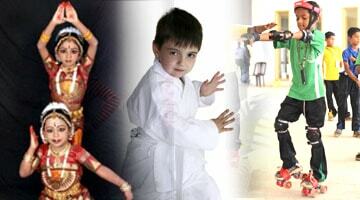 Students can also join in the dance, music, karate classes, etc. to expand their quiver of skills. Stress is placed on discipline, character moulding and personality development. 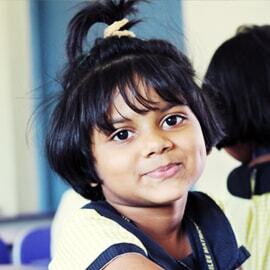 Students are trained and encouraged to speak in English fluently. Mount Zion Silver Jubilee Matriculation Higher Secondary School is established on June 2015. It has come to be recognized as a very different school in terms of quality of education, discipline, emphasis on moral education, etc. The various curricular and co-curricular activities are selected and organised to aid in the harmonious development of the Physical, Mental and Spiritual faculties of the pupils, thus setting Mount Zion apart from other schools. Tell Me & I Forget. Teach Me & I Remember. Involve Me & I Learn!